Deep geothermal drilling in Trebur, Hessen. Photo: Creative Commons / Ben Gasoline. 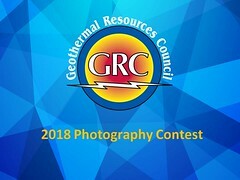 (From Google Translate) The use of geothermal energy through near-surface drilling is increasing, but the potential-rich deep geothermal energy is stagnating. Now the industry is calling for start-up aid from the state. Some swear by the potential of an inexhaustible source of energy, while others warn against self-generated earthquakes, toxic gases and radioactivity. As controversial as the use of heat from deep wells is, their reality is modest: according to the German Geothermal Association, there are just 36 power plants in Germany that are known as deep geothermal energy. Its 35 megawatts (MW) electric power equals twelve modern wind turbines. The heat output of 315 MW looks a bit more impressive, it roughly corresponds to the power of three modern gas-fired power plants. Although there are plans for around 30 other plants, there are currently only two under construction. One in the Bavarian Holzkirchen, the other in Munich. Thanks to Bernhard Welker for the lead.